Stay calm! Do not rush or panic. Make sure aisles and exits are clearly marked. Exit routes must be continually maintained. Review processes for providing help to those needing special assistance. Review fire and chemical hazards specific to each work area. 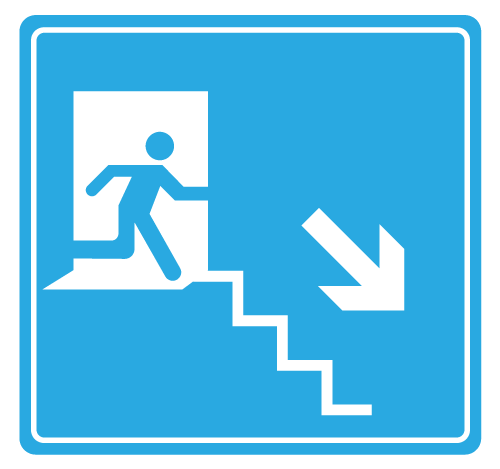 Use the nearest safe stairs and proceed to the nearest exit. Proceed to the designated Emergency Assembly Area and report to your roll taker. Do not re-enter the building or work area until you have been instructed to do so. Workplace evacuation exercises are designed to test the ability of occupants to effectively and efficiently evacuate in response to an emergency. Evacuation should include a pre-evacuation briefing followed by a debriefing with response teams. Your safety is first and foremost! Check back every month for a new safety tip to keep you healthy on the job.